Friesian cattle produce large quantities of milk and their male calves can also be fattened to produce good quality beef. They tend to be slightly smaller than Holsteins with more flesh and pedigree cows produce around 6,020 litres of milk annually. Although Friesians produce less milk than Holsteins they have a higher conversion rate of milk production to feed intake. Holsteins were imported from the United States in the 1970’s for crossbreeding to improve milk production, which increased the size and improved dairy production rates. 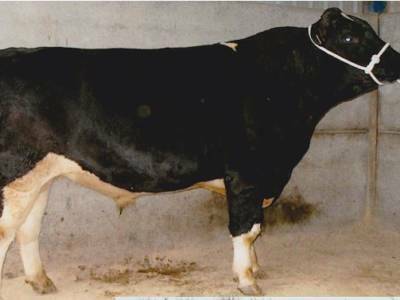 The crossbreeding resulted in much of the breed being 25% Friesians and 75% Holstein. Friesian Male calves produce high-quality, lean meat and beef cross heifers are popular as an ideal suckler dam replacement. 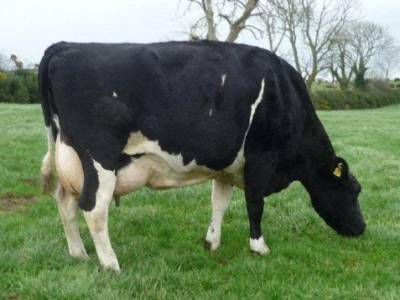 Holstein calves are vigorous, mature early, grow rapidly and don’t have a tendency to fertility problems. They are also good-natured, easy to handle, stress resistant with a good herd mentality. 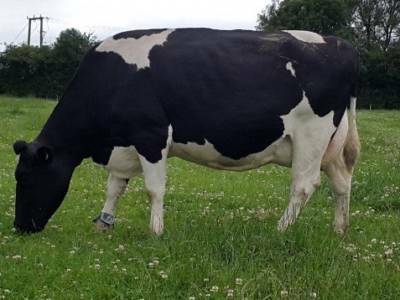 The British Friesian is a sensible choice for current dairy market conditions, with the price of milk low and unpredictable and the need for high production, low-cost, economically viable farming systems. The Friesians robust confirmation allows it to last for more lactations and Friesians provide a secondary income from the male calf being utilised in barley beef systems (finishing from 11 months) or steers taken on to finish at two years on low-cost grass and silage. They achieve grades equal to beef breeds.